Cincopa offers you the possibility to create your own Cincopa team. 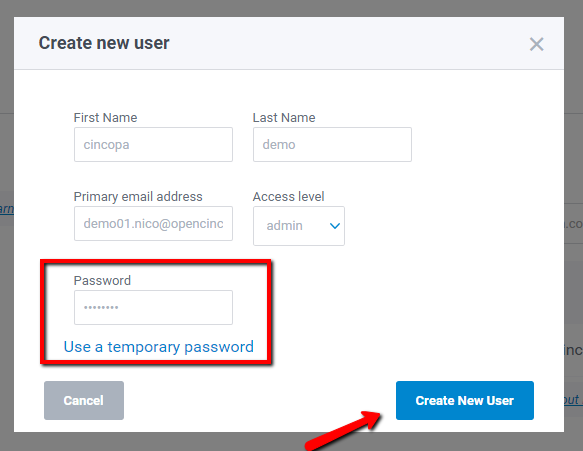 NOTE: You can add only new users to your Cincopa team which are not yet owners of Cincopa accounts. 1. Sign in to your Cincopa account. 3. “Users with account access” page will be displayed. Click on “Create new user”. 4. 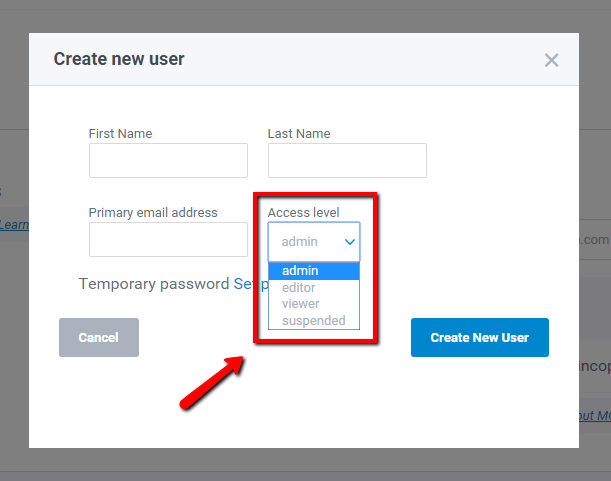 Fill in First/Last Name, email address and select the “Access Level” you would like to set for your team user. 5. You can either create new user with an automatically generated password or you can set the password yourself. 6. Click on “Create new user” button. Popup window will close and a new record with the new user will be added to your team along with the message “User Added Successfully”. 7. You are able to change “Access Level” for your team (changes will automatically save) and also remove from team at any time. 8. 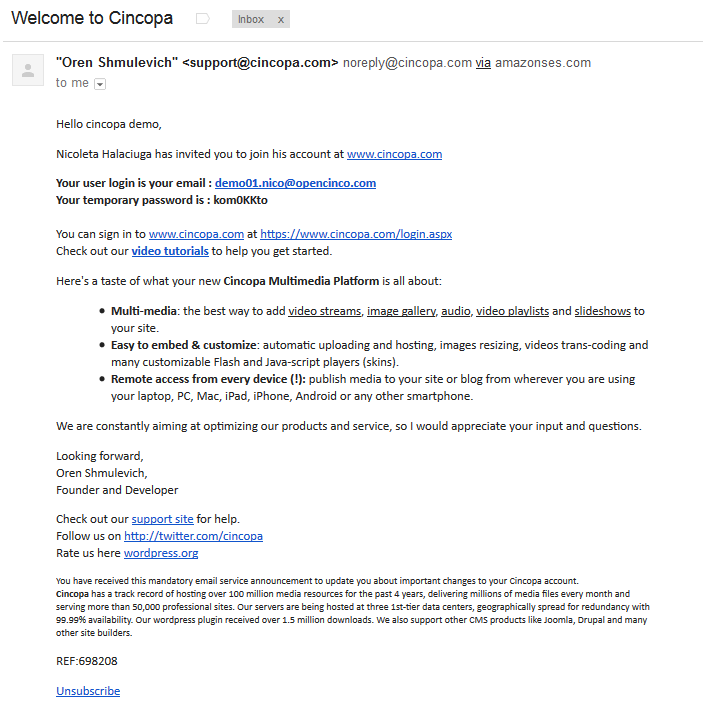 All your team members will receive email notifications with credentials to access your Cincopa account. Admin – same rights as owner to edit and manage Cincopa account, with the permission to add new users to team or invite new clients.